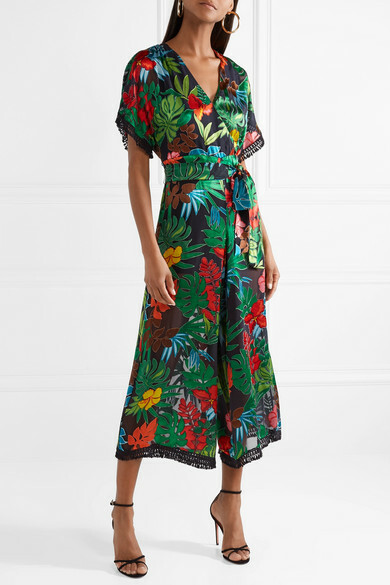 Whether you're heading on an exotic vacation or attending an outdoor wedding, Alice + Olivia's 'Kasia' jumpsuit is a perfect option. 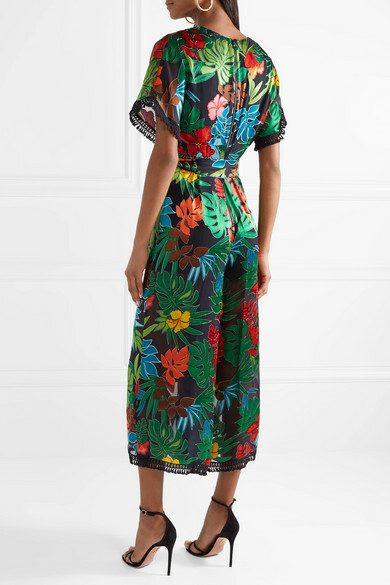 This flattering style is made from lightweight devoré-chiffon and detailed with vibrant, tropical fronds and airy crochet trims. 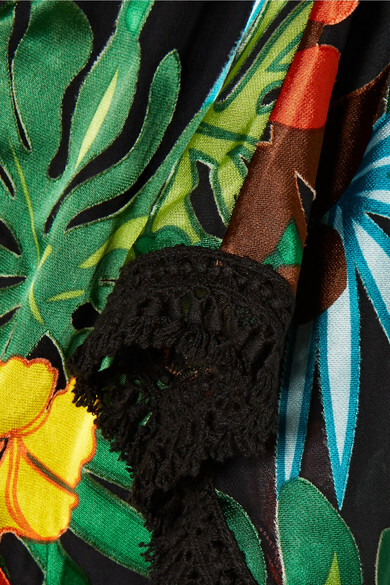 Wear yours with everything from slides to strappy sandals. 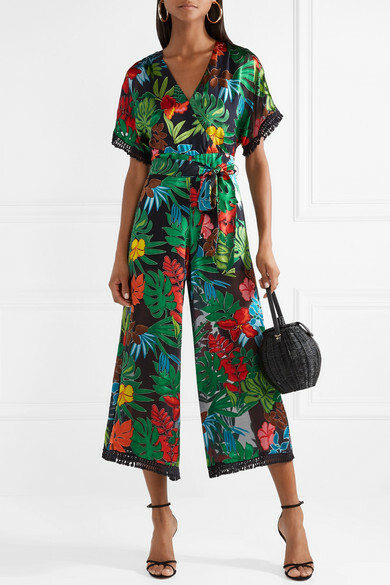 Shown here with: Ulla Johnson Shoulder bag, Aquazzura Sandals, Jennifer Fisher Earrings.